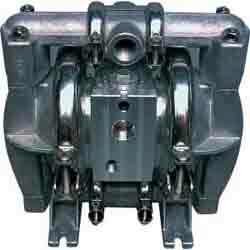 Pumper Parts Offers OEM Quality Replacement Pump Parts for Wilden’s AODD Pumps. Pumper Parts’, pump kits and replacement pump parts are manufactured to meet or exceed the highest quality standards in the industrial pump industry. Pumper Parts perform equal to or better than original equipment manufacturer (OEM) parts — Guaranteed. Pumper Parts also honors the same parts repair warranty as OEM. Pumper Parts is a global supplier of replacement pump parts & pump kits, answering the ever-present demand for quality, fast delivery and lower prices. Pumper Parts are priced 20% below the original equipment manufacturer’s list price. Most parts ship in 24 hours or less. Same warranty as Wilden parts. Free product trials available, put them to the test. No expediting fees for rush orders. Pumper Parts Replacement Parts meet or exceed OEM quality standards.